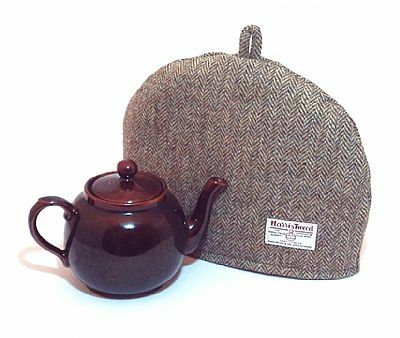 Harris Tweed tea cosy, teapot cover green herringbone fabric tea cozy. This beautiful quality cosy has been handmade from the world renowned Harris Tweed handwoven fabric. 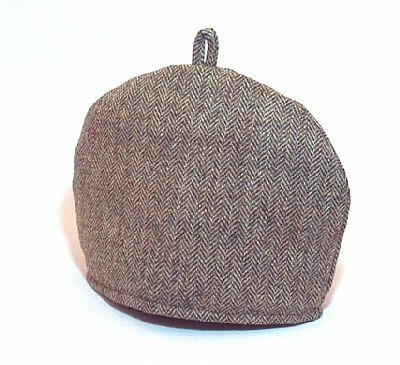 I have used a traditional herringbone weave in the colour they call "lovat". There is a dark olive, cream, pale sage green, and some flecks of brown and grey in there too - truly a lovely fabric. It is lined in white cotton fabric, and wadded with polyester to keep your tea warm. 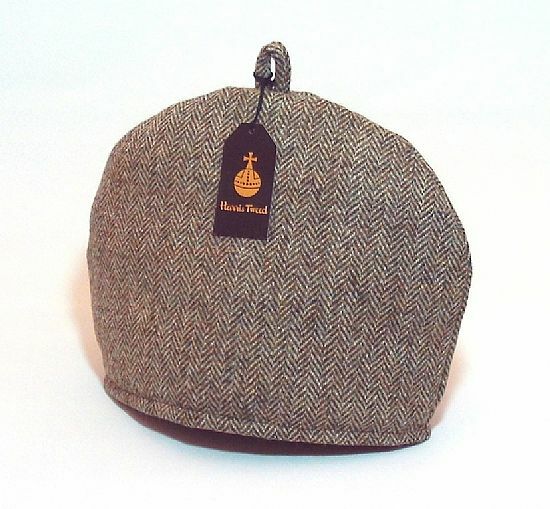 The Orb label, your guarantee of authentic Harris Tweed fabric is proudly displayed.